Set of 3 double ended metal skewers. 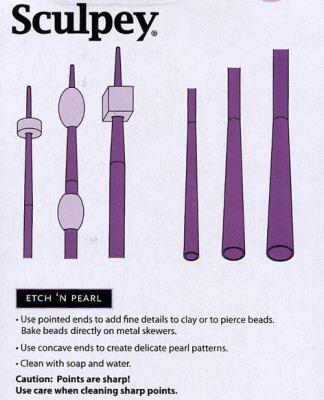 Use pointed ends to add fine details to clay or to pierce beads. Bake beads directly on the metal skewers. Use concave ends to crease delicate pearl impression patterns.